Emma Lou Diemer was born in 1927 in Kansas City, Missouri. She played piano and composed at a very early age and became organist in her church at age 13. Her great interest in composing music continued through College High School in Warrensburg, MO, and she majored in composition at the Yale Music School (BM, 1949; MM, 1950) and at the Eastman School of Music (Ph.D, 1960). She studied in Brussels, Belgium on a Fulbright Scholarship and spent two summers of composition study at the Berkshire Music Center. She taught in several colleges and was organist at several churches in the Kansas City area during the 1950s. 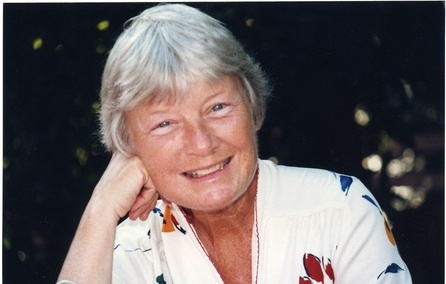 From 1959-61 she was composer-in-residence in the Arlington, VA schools under the Ford Foundation Young Composers Project, and composed many choral and instrumental works for the schools, a number of which are still in publication. She is Professor Emeritus at University of California, Santa Barbara, where she currently resides.